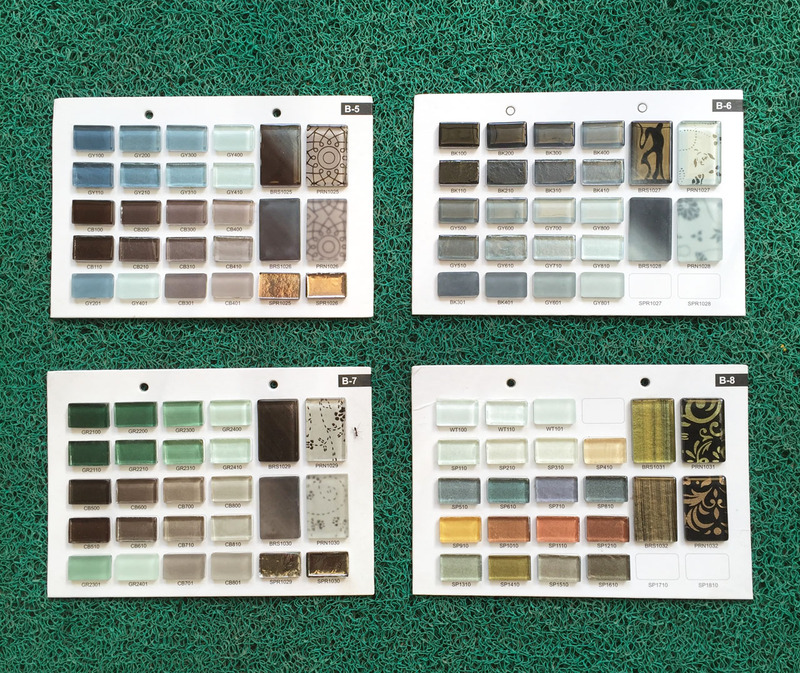 The need to source tools and tiles for mosaics has meant much web-trawling for me and on one such scan of Amazon India, I’d found small kits and stocks of crystal glass tiles being sold by Ahmedabad based Sai Mosaic Art. I found their website, emailed them to ask about their products, and if they would make them available to small scale mosaic-makers like me. I kept learning more about their products bit by bit. Not only that, a few weeks later, the company owner Mr. Patel spent a morning in Gurgaon while on the way to UP and met me and a few more mosaic-makers. Mr. Patel made notes of our needs and approach to creating mosaics, said that he’d be keen to help small artists scattered around the country, and later shared with us a list of products, their pricing and minimum quantities that his company would supply. Apart from the adhesive, I’ve now used all their products listed below and can confirm that they indeed fulfil many requirements. Other than a wide range of glass and ceramic tile shades, their mesh is of good quality and works as intended. I’d bought a few small mesh pieces from Amazon US and paid much more than the rate offered by Sai. At least 2 of the 4 picks they sell are invaluable and at the price they come, those of you conducting workshops can easily keep 4-5 sets.
. Email the tile codes with quantities to Sai Mosaic Art.
. Include your complete address and contact numbers in your email.
. Await confirmation via email on stock availability, time to be taken to despatch the items and the final amount to be paid.
. Transfer the amount to the seller’s bank account. Where stocks are available, it takes upto 7 days to have the material in hand. Crystal tiles: When you see the beautiful crystal shades on their website, you’d be tempted to acquire small stocks of all the colours for they look like jewels and cut easily with wheeled nippers due to their 3 mm thickness. They look smaller than 15x15mm because of their rounded corners so many mosaicists would be happiest using them without cutting. In fact the shiny SPR tiles must be used whole because of the gold foil used at the back but the rest of the marble or luminescent tiles cut well. My tip is to buy one sqft in each of the 5-6 colours that you’re absolutely sure of using and buy a set of shade boards at the same time. 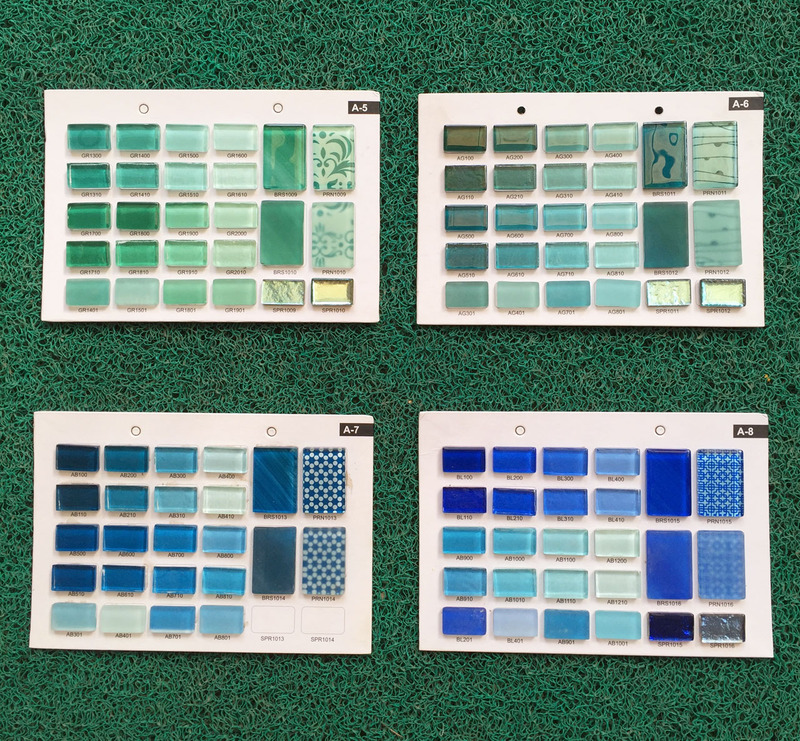 When seen up-close, the iridescence or luminescence of tiles is much clearer than their images make them appear so it helps to have the boards on hand to decide on colours. 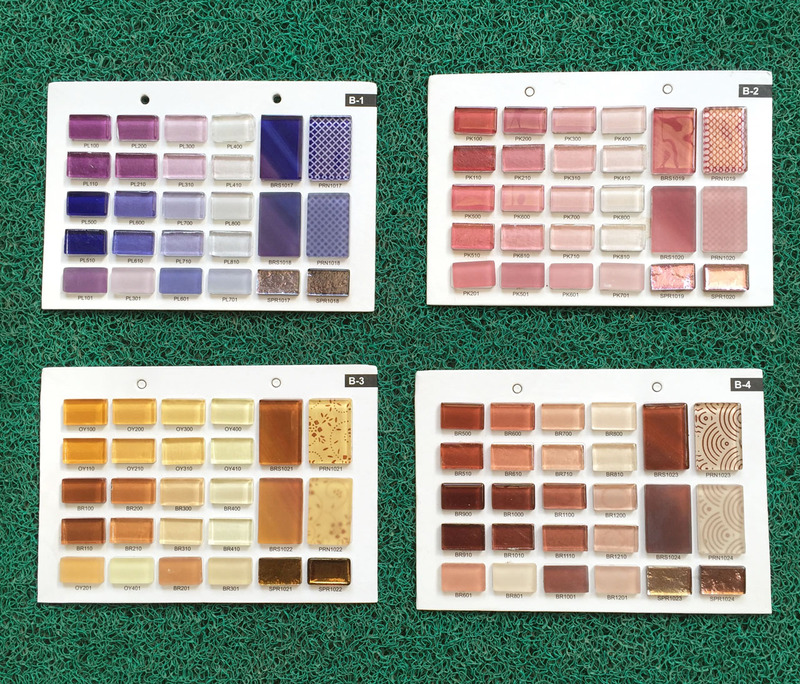 Place the rest of your tile order on getting hold of the shade kit. Ceramic tiles: the smallest size available is 1×1” and they arrive in a perfect state in the courier. Bigger sizes tend to see some breakage but the company is good about replacing any broken tiles so don’t lose heart. Mesh: The quality is good and even though it arrives folded, it straightens without much effort. 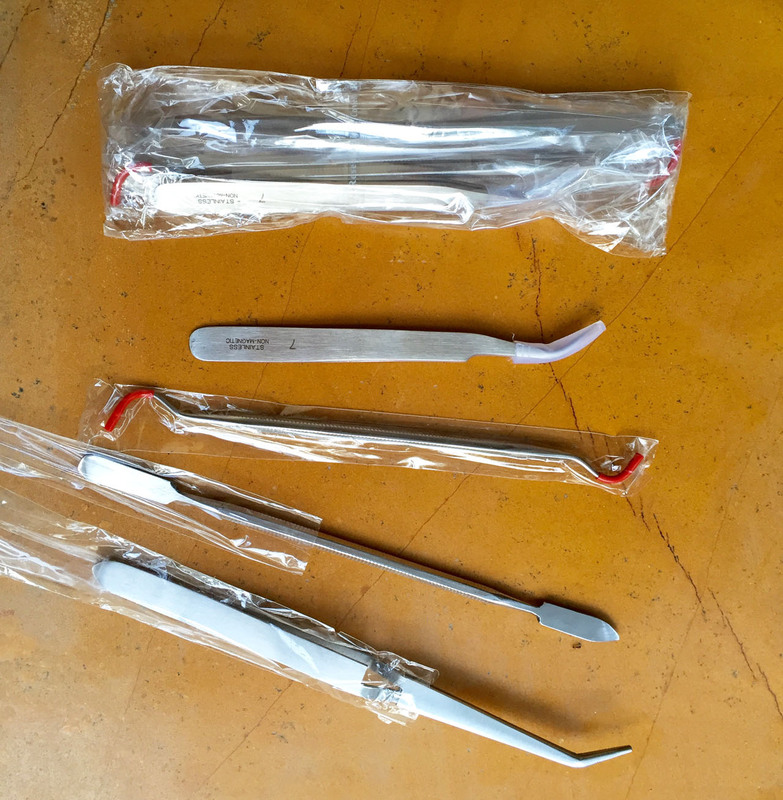 Picks: They are a must-have in every mosaicist’s kit. Click on the images to see their bigger size.